Select a realtor you are comfortable with that specializes in the area’s you are looking to purchase. If you don’t have one we will be glad to refer you to one that will suit your needs. Get a game plan with your realtor and start the visual part of the process in motion. The more you can pin point what you are looking for the less amount of time will be wasted by yourselves and your agent. Your agent will help you determine the value of the home usually by comparing similar homes that have sold recently in the area. Your agent will be very instrumental in negotiating an offer price and include Subject in the Purchase & Sale Agreement such as financing, inspection etc. ** If you are planning on doping renovations include an extra 3 days it remove subjects since you will need to have your renovation professionals view the home. 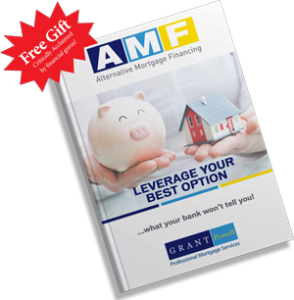 Either your agent, renovation professionals, or Alternative Mortgage Financing will help you in determining what needs to be checked before the purchase is finalized. Will give you a few ideas to think about in regards to the renovation you are looking to complete: a) make sure they make sense b) can be done c)estimate the cost to complete. Before you remove Subjects you need an accurate written renovation quote. This will help determine if it really makes sense to purchase the property and follow through with the renovation ideas. Renovation professionals will help you put together a work schedule based on when you take possession. The schedule will include manpower, materials and estimated time to complete project. If you already have one in mind, make sure they specialize in real estate, renovation financing transactions and the lender providing the mortgage approves. 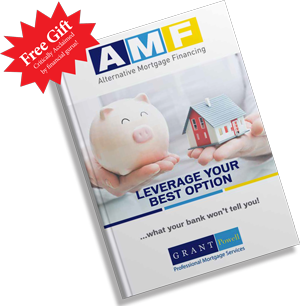 Contact Alternative Mortgage Financing to double-check. This is last chance to make sure everything with your new property is in order as noted on the contract of purchase of sale, example all appliances are in working order. A meeting with your lawyer/notary to sign the mortgage documentation, also this is the time you bring the required amount of downpayment and closing costs that have previously been discussed. This amount must be paid by certified cheque draft or bank order. Use the dates to help you plan change of address, moving, disconnection, and connection of household services. Also since you will be doing simple to extensive renovations, this is the time to make sure the work starts flowing as stated on your renovation time line. Depending on the complexity of the renovation there will be 1-6 inspections in which time funds will be advanced to pay renovation professionals for satisfactory work completed. Once all renovation work is completed or at least the dirty work, its time to move in and enjoy your new home!